The combined market valuation of top eight Sensex companies fell sharply by Rs 103,531.35 crore last week, with Sun Pharma bearing the maximum loss. Except RIL and CIL, the remaining eight companies among the top 10 most valuable Indian firms -- TCS, ONGC, HDFC Bank, ITC, Infosys, SBI and HDFC -- witnessed slump in their market capitalisation (m-cap) for the week ended June 5. Sun Pharma saw value erosion of Rs 28,202.58 crore to Rs 204,191.98 crore, the most among the top-10. ONGC's valuation plunged Rs 18,437.08 crore, to Rs 263,851.32 crore, while that of ITC dipped Rs 17,594.06 crore to reach Rs 244,313.04 crore. The m-cap of State Bank of India (SBI) witnessed an erosion of Rs 15,397.23 crore to Rs 195,056.84 crore. Infosys lost Rs 1182.92 crore and closed the week at Rs 231,084.12 crore, HDFC Bank's value declined by Rs 9,797.51 crore to reach Rs 253,920.01 crore. TCS's m-cap fell by Rs 7,492.14 crore at Rs 503,853.39 crore and that of HDFC Ltd went down by Rs 5,427.83 crore to Rs 189,233.49 crore. In contrast, market valuation of RIL surged Rs 9,352.32 crore to Rs 293,206.58 crore and CIL added Rs 9,032.4 crore to Rs 256,191.74 crore. Tata Consultancy Services (TCS) continued to rule the domestic market cap chart, followed by RIL, ONGC, CIL, HDFC Bank, ITC, Infosys, Sun Pharma, SBI and HDFC. 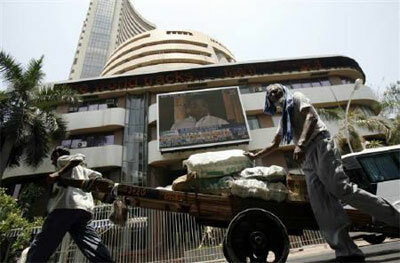 Over the last week, the BSE benchmark Sensex fell by 3.8 per cent to 26,768.49. It has lost 1,189.01 points or 4.26 per cent in two weeks.